Carpet seam binder, or transition strip, holds carpet in place where it joins a different type of flooring material. Without a carpet seam binder, the carpet edge would fray and could potentially trip people as they walk over it. Carpet seam binders are available in a variety of metallic finishes. Wooden binders are available as well to use where carpet meets wood flooring. Installing a transition strip is a simple process that is the final step in laying carpet in a room. In most instances, only a few basic tools are necessary to complete the job. Measure the width of the door opening so you can purchase a carpet seam binder that's long enough for the doorway. 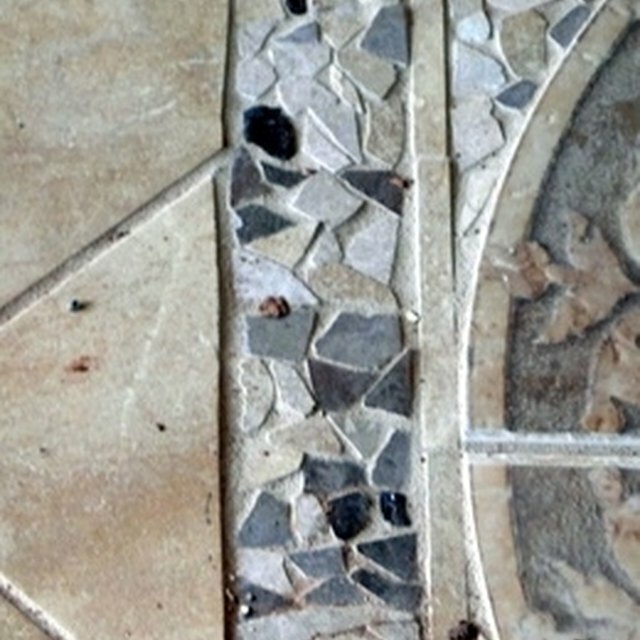 It's better to cut down a longer strip than to piece two strips together in one doorway. Select a transition strip that's appropriate for the two types of edges you are joining. Choose one that has the appropriate length teeth for the carpet you have in your home as well. Cut the carpet strip to fit the doorway. Use a hacksaw with a metal cutting blade to cut a metal strip or use a handsaw to cut a wooden one. Each strip has predrilled holes in it. Take the position of tho holes into consideration as you cut. You may need to cut some material from both ends of the carpet seam binder. Set the transition strip in place over the junction of the two flooring materials. If you are joining a tile floor, set the strip so the holes are completely on the carpet side rather than between the different flooring materials. Use a permanent marker to mark the location of the holes in the strip. Set the strip aside. Drill pilot holes for the screws. If you have masonry subfloors, drill the holes with masonry bits and put anchors flush with the subfloor in place. Place the strip back into position. Use a screwdriver to put the screws that come with the transition strip into place. It may be necessary for you to cut around door trim if it extends all the way to the floor to make the transition strip fit against both sides of the door. If the carpet has loose threads, trim them before installing the strip. Place a bead of carpet glue under the edge of the carpet if it is loose.